On Friday, I had the pleasure of staying at AMBA Hotel Charing Cross. I love a staycation, as it always feels like such a treat to stay in a hotel, in the city you live. AMBA was no exception to this. 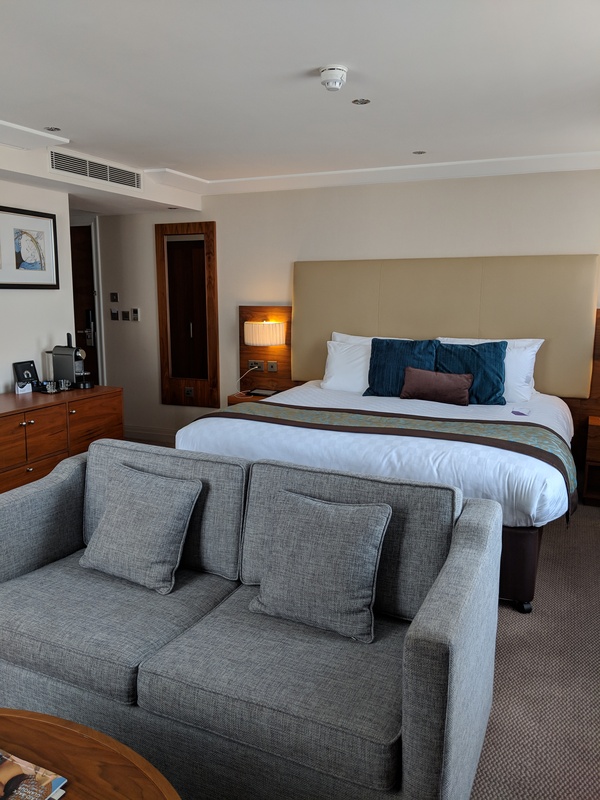 We were gifted an executive king room, which included the biggest bed we’ve ever stayed in! Plus, the room came with it’s own living area and large bathroom (complete with separate bath and shower). Not only this, but the rooms at AMBA include a free mini bar!! Never have I stayed at a hotel with a free mini bar before. This included a small bottle of white wine, beer, chocolate, crisps and biscuits. 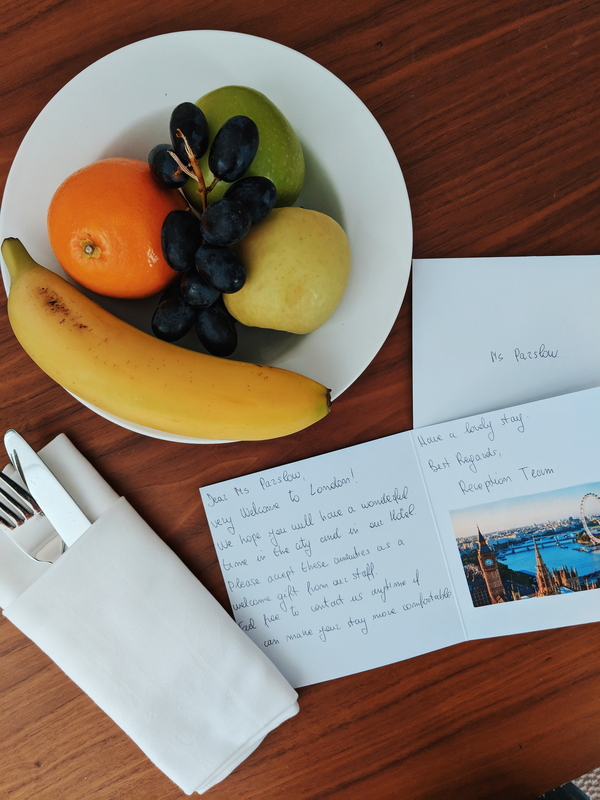 Plus the room had a Nespresso coffee machine, hot chocolate, cookies and a welcome fruit bowl – complete with sweet note from reception. The reason for my stay however, was to review AMBA’s Upgrade to a Better Night’s Sleep package. 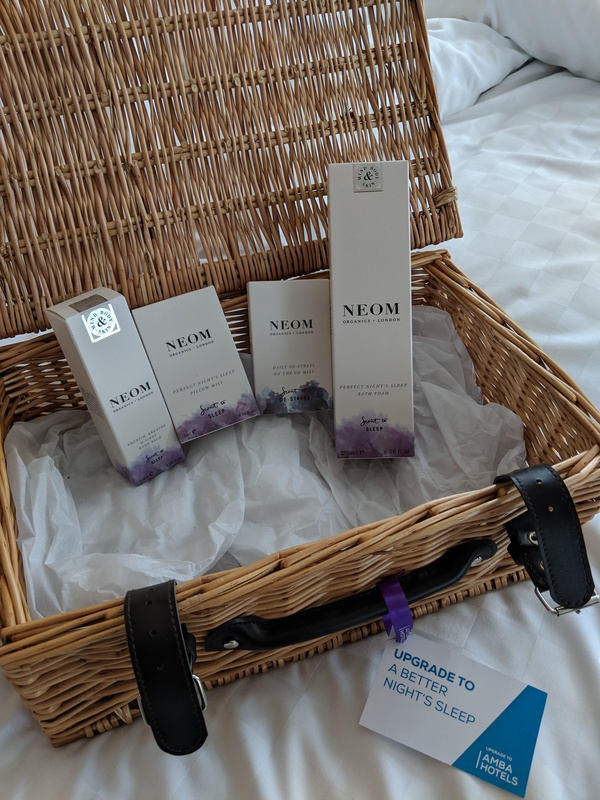 This upgrade can be added to your stay and includes a lovely hamper of treats from Neom. If you haven’t heard of them before, Neom are an organic skincare and fragrance brand. Their products include therapeutic benefits to help relive stress, relax the body, help with sleep, and lift your mood. All of their fragrances are 100% natural, made in Britain and ethically sourced. Their natural ingredients are sustainably sourced, and include only essential oils. Included in the AMBA package, was full size bath foam, designed to be used before getting into bed, to relax the body. Plus a beautiful pillow mist, nourishing hand balm and de-stress mist. We popped out for dinner at nearby Spanish restaurant Barrafina (highly recommend! ), but afterwards I wanted to head back to the room, for a glass of wine and soak in the bath. On our way back, I couldn’t not share a couple of photos of the hotel at night. It’s beautiful and the view from our room was incredible. AMBA Hotel Charing Cross is ideally situated for those looking to be close to all the main attractions of London. On the south side, you are just a short walk from the Thames and the London Eye. 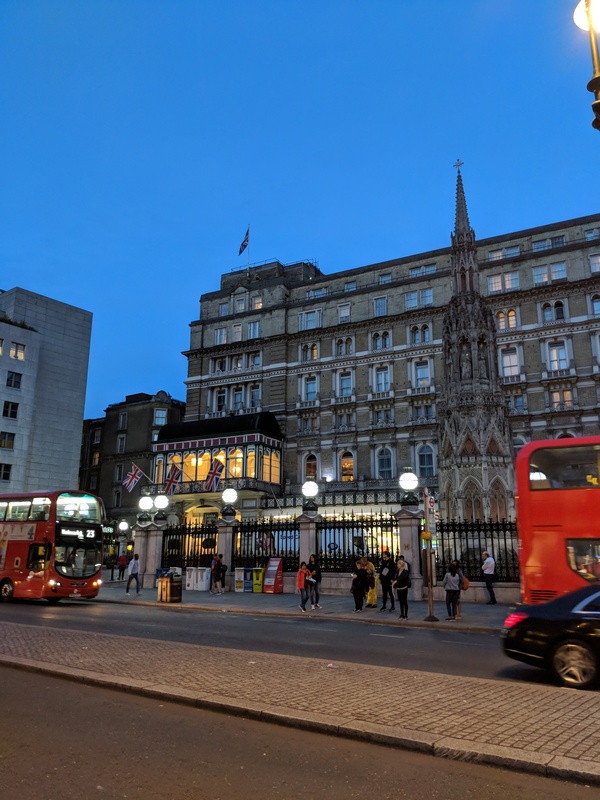 If you walk directly out of the front of the hotel, you can either walk towards Trafalgar Square, or to Leicester Square and Covent Garden. It’s the perfect location for those looking to explore the city. 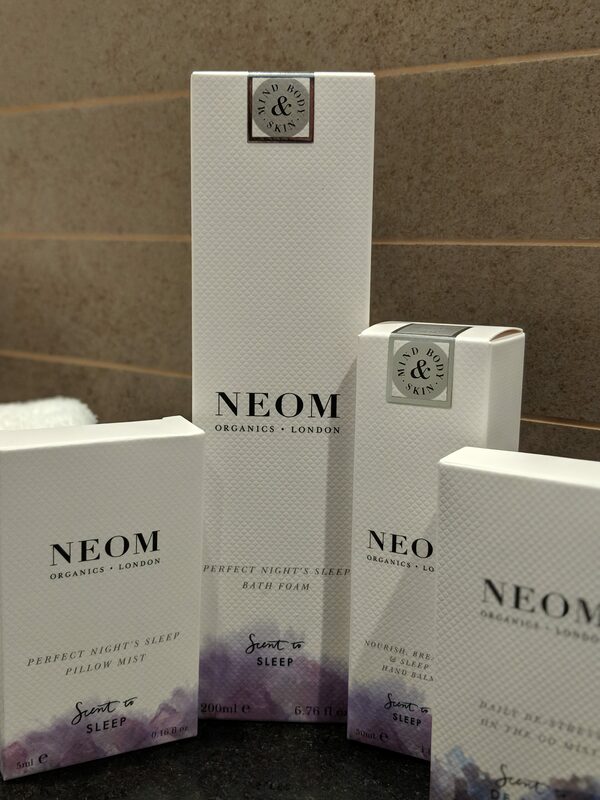 However, because of our busy schedules, we were happy to relax at the hotel and take full advantage of the Neom products. The next morning, we headed downstairs to enjoy our complimentary breakfast. 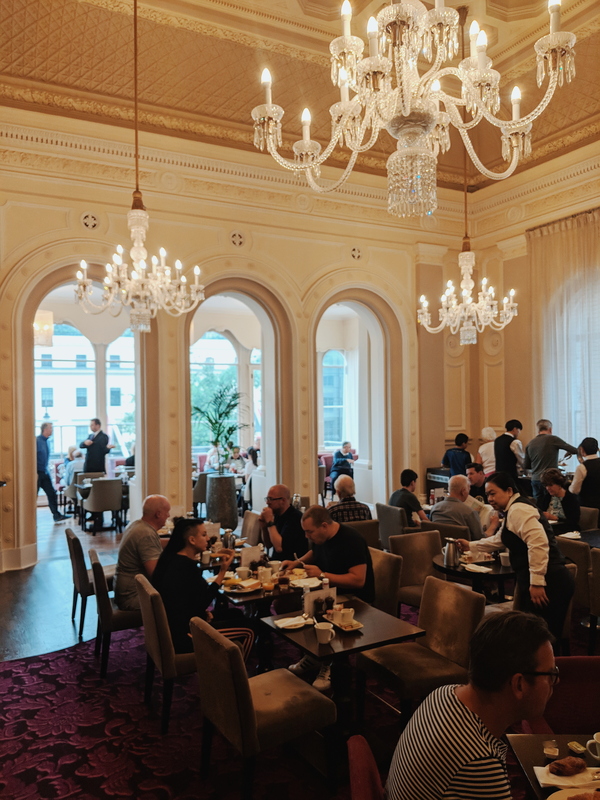 Seated in the grand Terrace restaurant, we were able to choose from a range of teas and coffees delivered to the table. 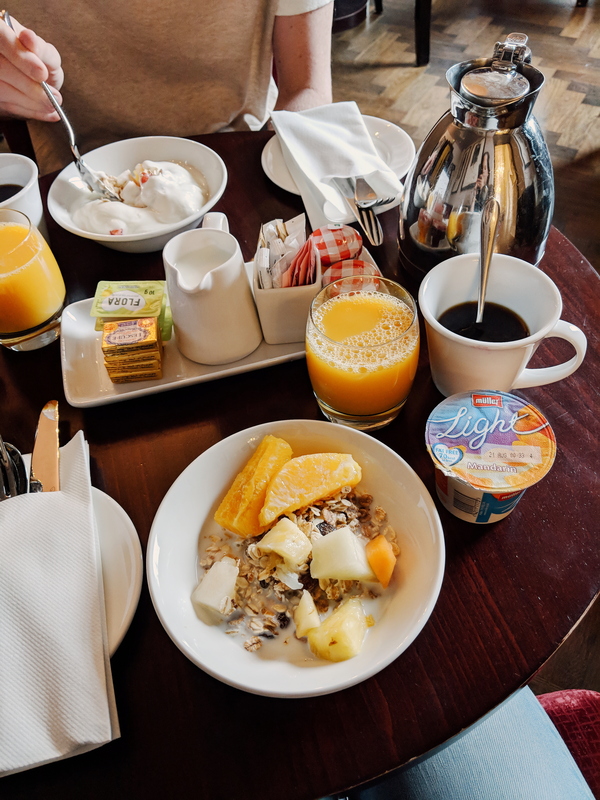 Otherwise, the breakfast is buffet style, with a selection of juices, hot and cold food, pastries, yogurt, fresh fruit and all of the condiments you could possibly want. No sooner had we finished breakfast, than it was time to head home. However, for those looking for a more relaxing morning, checkout isn’t until midday at AMBA Hotel Charing Cross! 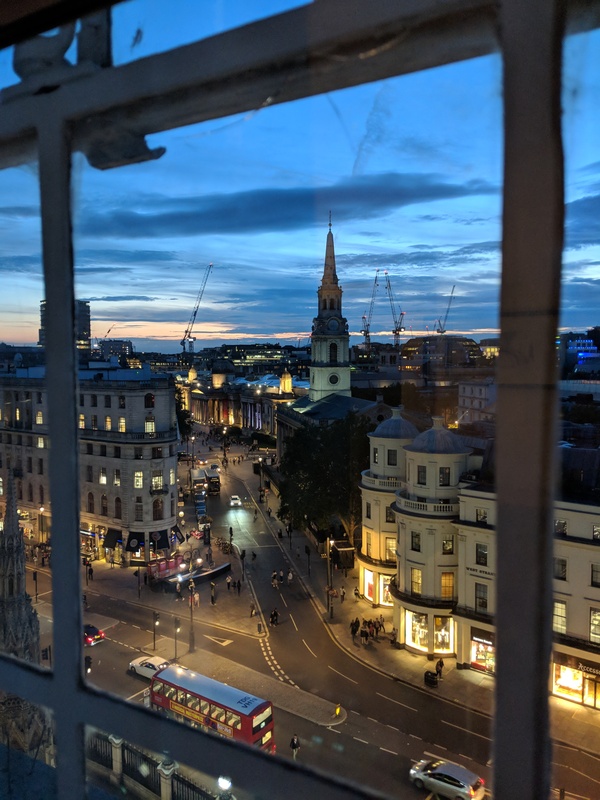 Overall we very much enjoyed our stay at AMBA Hotel Charing Cross, and I’m still dreaming of that view! 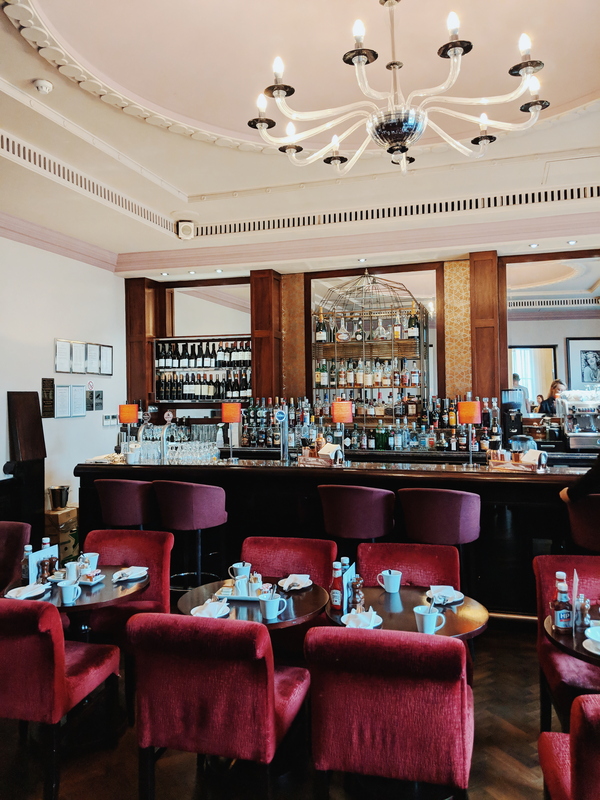 For your chance to win an executive room suite at an Amba hotel of your choice and exclusive seats to see Baz Luhrmann’s Strictly Ballroom the Musical, visit www.amba-hotel.com/UpgradeYourSummer. T&C’s apply.